We all love to make surfing intersting to do that we need to tweak our Browser.User, meet Stylish. Stylish is a Firefox add-on. It’ll enhance your browser experience. Stylish uses simple, user-submitted CSS scripts (similar to Greasemonkey) to tweak the looks of certain websites. Today we’re going to take a look at the four best Stylish scripts around. If a webpage looks bad, we can make it look good. If it looks good, we can make it look better. Globex Designs released Gmail Redesigned, which will give your Gmail a slick dark look. It also visually tweaks all popular Google services. The Google Redesigned add-on was released a few weeks ago. Upon writing this article, Gmail and Google calendar got the treatment. Grey/OIive v2 Last.fm gives Last.fm a nice and calm grey-green look. This style is also available in Dark Grey for both Google Web Search and Google Image Search. 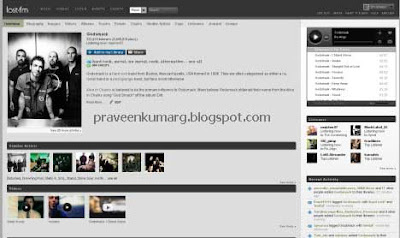 I’m not a fan of MySpace.I’m a fan of Orkut.Myspace users can try Updated Home Rearranged. This style fixes a lot of things. 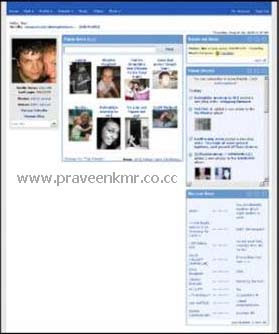 It rids the complete site of ads and rearranges the items on your MySpace homepage, making it a lot more compact and usable. Installing these scripts is very simple. You just install Stylish, find a script online (or make one yourself) and install it by right-clicking on the Stylish icon at the bottom of your browser.